We are delighted to invite you to our next InterNations Official Event! 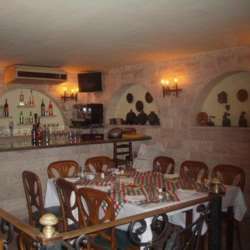 We will meet in the old city in one of the oldest and most reputable restaurants in town; the Chez Gaby Restaurant. Let your soul get relax in these comfortable French-inspired surroundings, and connect with other global minds in your city. Don't miss this chance out and reserve your place with us by pressing on the " attend " button. Please cancel your attendance if you for some reason won’t be able to come!